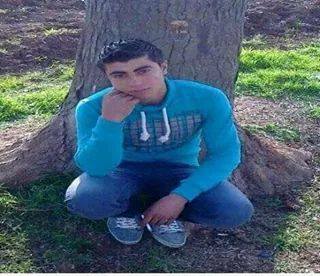 ISIS’s missiles kill a student on the closed Turkish border – DOZ e. V.
Mohammed Khalil, a 19 year old student was killed on 29.09.2014, on the Turkish-Syrian border near the Kani Arba village. He had been waiting there with his family hoping that the Turkish authorities open the border so that they cross the border into Turkey in order to find a safe haven for his family. Mohammad Khalil is the only son in the family and has seven sisters and he is the youngest. He was killed as he decided with his family to have the last look at their home in the village which they left behind after fleeing ISIS advance in the region a few days ago, yet ISIS’s missiles fell on him as he was walking to the village and killed him. Mohammad was killed by the mortar of ISIS before arriving in the village and he could not even have the last look at his house before his death.